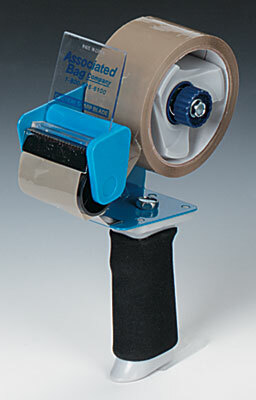 Designed for fast tape application, dispensers roll out and cut tape in one easy motion. Adjustable brake setting controls tension. Made of industrial-gauge steel to handle demanding work environments. Cushioned foam handle improves grip and reduces hand fatigue. Call for details about replacement blades or shields.